The automatic transmission control module (TCM) fitted to Audi vehicles are known as common failing parts, causing several kinds of transmission related issues. From automatics to semi-automatics, mechatronic, multitronic and S-Tronic to DSG (Direct Shift Gearbox) and CVT (Continuously Variable Transmission) vehicles – all are known to be affected. 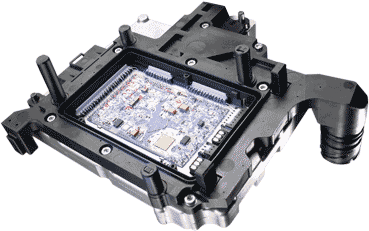 Occasionally these faults can be rectified by a simple Gearbox Oil change or software update, however, most generally the fault is caused by the Transmission Control Module (TCM) or more commonly known as the Gearbox ECU. It is not always easy to identify the problem caused by a failed DSG controller, as the DSG controller may not always bring up warning lights or fault codes. Some of the most common DTC Fault codes found to be linked with DSG Transmission Control Unit Problems have been listed below. Note that these codes are not specific to Audi so they may also be found on other vehicles as well. Audi Q5 Audi Q7 Audi TT And more..! 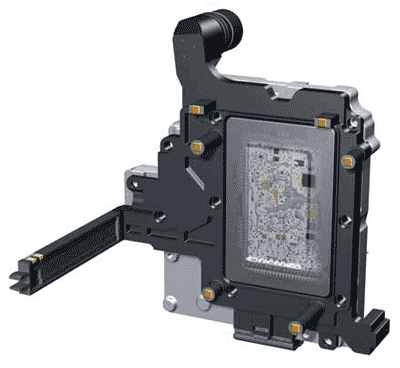 The cost of replacing your DSG Gearbox ECU when the part becomes faulty has quoted to be in excess of £1000 + VAT from local dealers and would require programming at an additional cost. A standard 12 month warranty is supplied with your new replacement part, or the option to replace the DSG/CVT Transmission ECU with a used second-hand part with only 30-90 day limited warranty, which again will require coding/programming at an additional cost. The list of part numbers for all makes and models of vehicles which are affected would be exhaustive as there are so many, therefore we have compiled a list of the most common units that we have repaired or exchanged in our workshop in the past. Do not worry if your part number is not on the list below, please give us a call on 0844 847 9999 and we will still be able to test and repair your unit. My Audi Has a DSG TCM Module Fault – How Can SINSPEED Help Me? Here at Sinspeed, we are not only able to fully bench test all transmission controllers with our latest Automatic Transmission Controller Testing equipment, but we also ensure that we hold all major components in stock to carry out successful repairs. We have also on many occasions been able to restore units that other garages have deemed irreparable. If we are unable to repair your module however, we hold a large number of units in stock ready to exchange, and we update it with all the necessary programming/coding before they are returned to you – making it fully plug and play! This means you can post your part to us for repair or replacement, and it will be returned to you fully functional without the extra costs of expensive dealer coding/programming required! Lifetime warranty is provided with all of our DSG / CVT Gearbox ECU’s. Not only do we provide a full service of Transmission ECM repair + replacements services, but we also offer a fantastic DSG Gearbox Remapping service to fine tune the mapping of the DSG controller for a more enhanced driving experience. This can be applied at the same time of the repair and will aid smoother gear change with zero hesitation as well as increase gear shifts speeds by 20% with zero lag! If you want more information on our DSG Remapping Service, it can be seen here. If you are looking to repair or replace your damaged TCM unit or require diagnosis of a faulty DSG Gearbox ECU, then give us a call today on 0844 847 9999. Tags : 00107455A2, 00270659, 01J910156HT, 01J927155JG, 01J927156AE, 01J927156AH, 01J927156BG, 01J927156C45R, 01J927156CB, 01J927156CE, 01J927156CF, 01J927156CG, 01J927156CH, 01J927156CJ, 01J927156CL, 01J927156CM, 01J927156CN, 01J927156CQ, 01J927156CR, 01J927156CS, 01J927156CT, 01J927156DB, 01J927156DE, 01J927156DR, 01J927156DS, 01J927156E, 01J927156EC, 01J927156ET, 01J927156FA, 01J927156FD, 01J927156FH, 01J927156FK, 01J927156GN, 01J927156HF, 01J927156HH, 01J927156HN, 01J927156HT, 01J927156JE, 01J927156JF, 01J927156JG, 01J927156JH, 01J927156JJ, 01J927156JK, 01J927156K, 02E300041N, 02E300041R, 02E300042Q, 02E300046D, 02E300046F, 02E300046K, 02E300146D, 02E300146F, 02E325025AD, 02E325025ADZ01, 02E325025ADZ02, 02E325025ADZ03, 02E325025ADZ04, 02E325025ADZ05, 02E325025ADZ06, 02E325025ADZ07, 02E325025ADZ08, 02E325025ADZ09, 02E325025ADZ0A, 02E325025ADZ0B, 02E325025ADZ0C, 02E325025ADZ0D, 02E927770AD, 02E927770AE, 02E927770AJ, 02E927770E, 02E927770F, 02E927770G, 02E927770L, 02E927770M, 02E927777D, 02E927777OE, 02E927777OF, 02E927777OL, 02E927777OM, 02E92777OAD, 02W927770M, 4B0910155, 4B0910155B, 4B0910155C, 4B0910155D, 4B0910155F, 4B0910155G, 4B0910155K, 4B0910155L, 4B0910155M, 4B0910155N, 4B0910155P, 4B0910155Q, 4B0910155S, 4B0910155T, 4B0910156B, 4B0910156F, 4B0910156G, 4B0910156H, 4B0910156J, 4B0910156L, 4B0910156M, 4B0910156N, 4B1910155A, 4B1910155B, 4B1910155D, 4B1910155E, 4B1910155F, 4B1910155G, 4B1910155J, 4B1910155K, 4B1910155L, 4B1910155N, 4B1910155Q, 4B1910156D, 4B1910156E, 4B1910156F, 4E0910156P, 4F0910155M, 4F0910157J, 4F0910157K, 4F1910155B, 4F1910155D, 4F1910155E, 4F1910155F, 4F1910155H, 4F1910155P, 4F2910155D, 4F2910155G, 4F2910155H, 4F2910155N, 4F2910155R, 4F2910155S, 4F5910155Q, 4F5910155R, 4F5910155S, 4F5910157D, 4F5910157F, 4F5910157H, 4F9910155B, 4F9910155D, 8E0910155, 8E0910155A, 8E0910155B, 8E0910155C, 8E0910155E, 8E0910155F, 8E0910155G, 8E0910155H, 8E0910155J, 8E0910155K, 8E0910155M, 8E0910155N, 8E0910155P, 8E0910155Q, 8E0910155R, 8E0910155S, 8E0910155T, 8E0910156H, 8E0910156K, 8E0910156L, 8E0910156P, 8E0910156Q, 8E0910157H, 8E0910157J, 8E0910157L, 8E0910159, 8E0910159A, 8E0910159B, 8E0910159C, 8E0910159F, 8E1910155B, 8E1910155F, 8E1910155L, 8E1910155M, 8E1910155N, 8E1910155P, 8E1910155S, 8E1910155T, 8E2910155A, 8E2910155B, 8E2910155C, 8E2910155D, 8E2910155E, 8E2910155F, 8E2910155G, 8E2910155H, 8E2910155K, 8E2910155L, 8E2910155P, 8E2910155Q, 8E2910156B, 8E2910156Q, 8E3910155E, 8E3910155F, 8E3910155G, 8E3910155H, 8E3910155J, 8E3910155Q, 8E3910155R, 8E3910155T, 8E4910155A, 8E4910155B, 8E5910155, 8E5910155J, Audi DSG ECU Issues, Audi DSG ECU Repairs, Audi DSG Gearbox Repairs, Audi Multitronic Gearbox ECU Problems, Audi S-Tronic Gearbox Faults, DSG ECU Issues, DSG ECU Repairs, DSG Gearbox Repairs, E040A004161JBLR12, Multitronic Gearbox ECU Problems, P81GF30001073102UF, S-Tronic Gearbox Faults. We’ve sent you an email with all information about our testing and repair services for the Audi A4 TCM module and also how to send the unit to us from Guatemala, Central America. If you have any further questions, please respond to the email and we’ll be happy to assist you. Hi just a quick note that our computer has put capital letters for our e-mail address….it is all lower case, thanks. Right to our problem with our 2006 audi a4 2 litre transmission faults are coming back as pRNDS flashing and spasmodic signals from the tZM I haven’t got the codes at the moment but if you require them I should be able to get them, as i have already taken the module out and packed ready to send to you, what is the process from here on jason, thank you, richard cairns. I’ve sent across a quick email highlighting the expected cost for repairs, our current turnaround time and also instructions on how to send the part to us. If you have any further questions please respond to the email and we’ll get right back to you. We’ve sent over a quick email highlighting the expected cost for repairs, our current turnaround time and also instructions on how to send the part to us. If you have any further questions please respond to the email and we’ll get right back to you. replacement and repair cost for Audi A4 TCM 1.8 litre 2004 model CVT. We have sent over an email now with pricing and further information. Please do not hesitate to contact us if you require any further information. Can you let me know -can you fix my TCM and how much is cost? 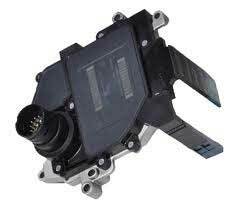 The Transmission Range Sensor (F125) fault is very common and we do have a testing and repair solution for this fault. I have sent you an email with full information and pricing. We have seen this type of fault before – I have sent you an email with full information and pricing to test and repair your unit. Hi we have a audi a6 cvt gear box with fault 01798 f125 implausible signal p0706. I tried phoning but can’t get through. Good Day, I have a problem with my audi q5 2010 2.0 transmission, Basically once the transmission gets warm it cuts off, it pops out of gear and the only code I get in the transmision is U000200 high speed can communication bus, passive sporadic. Could the tcm module be shot? it works perfectly when cold seamless shifting, never lose reverse or skips gears etc… it just loses communication. Can you give me price and turnaround time. I am in guatemala but will be in california from april 12 to apr 23.